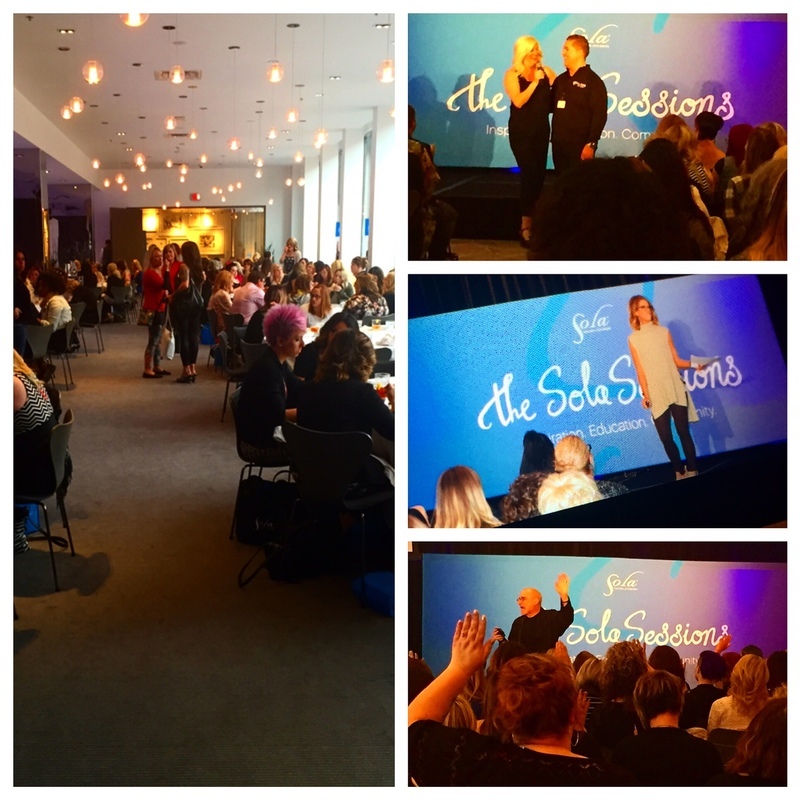 On Monday, April 25, 2016, 200 salon professionals from nearly 10 states gathered at the Radisson Blu Mall of America in Minneapolis for the second-ever Sola Sessions event. 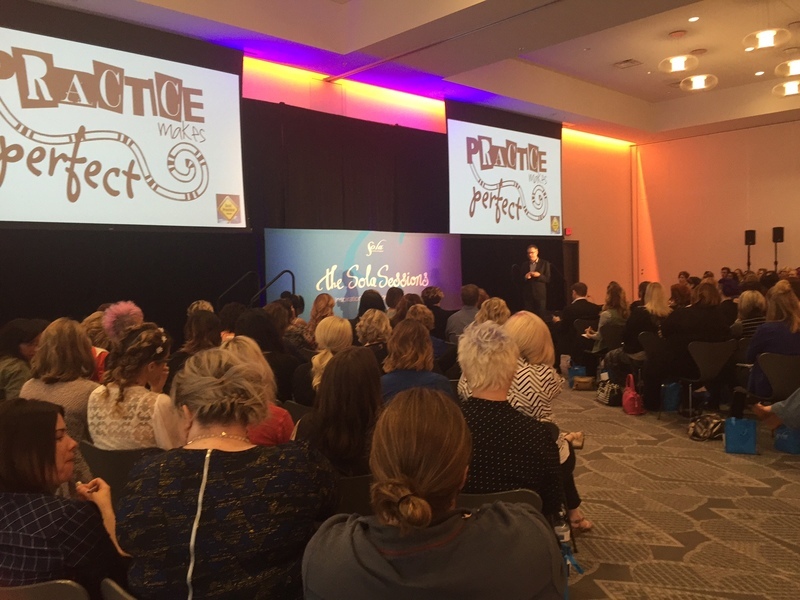 With a focus on inspiration, marketing and business in the morning, and artistic learning in the afternoon, the event featured educators from various aspects of the professional beauty industry. 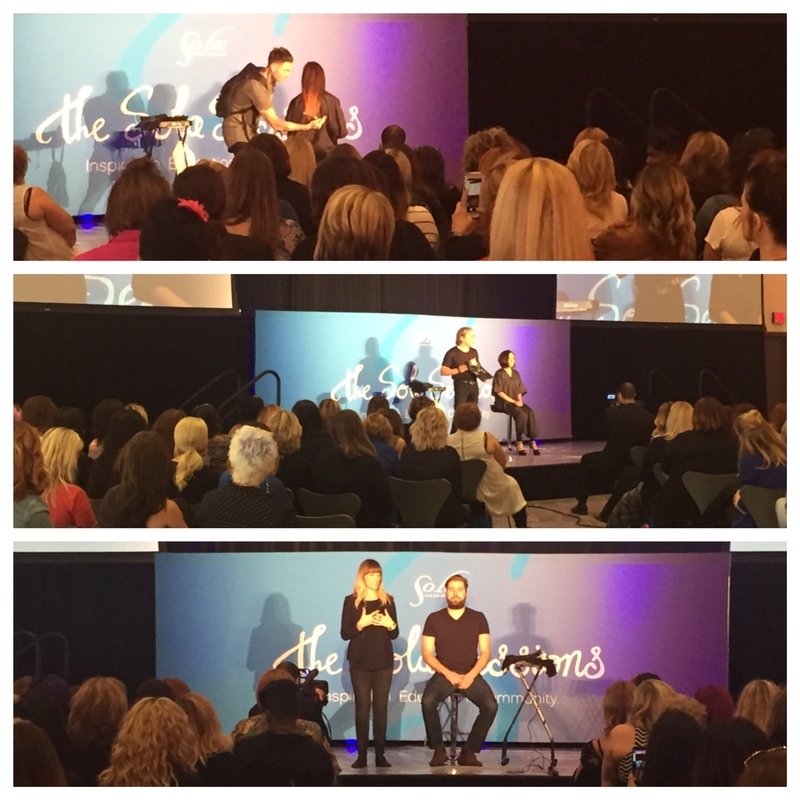 The Sola team feels incredibly fortunate to have had the opportunity to welcome so many rock stars to the Sola stage, including several stylists who had a chance to stand in the spotlight as well! Sola’s first-ever stylist and event emcee, Kim Bennett Horvath, kicked-off the event by sharing some of her personal experiences at Sola over the last 12 years. 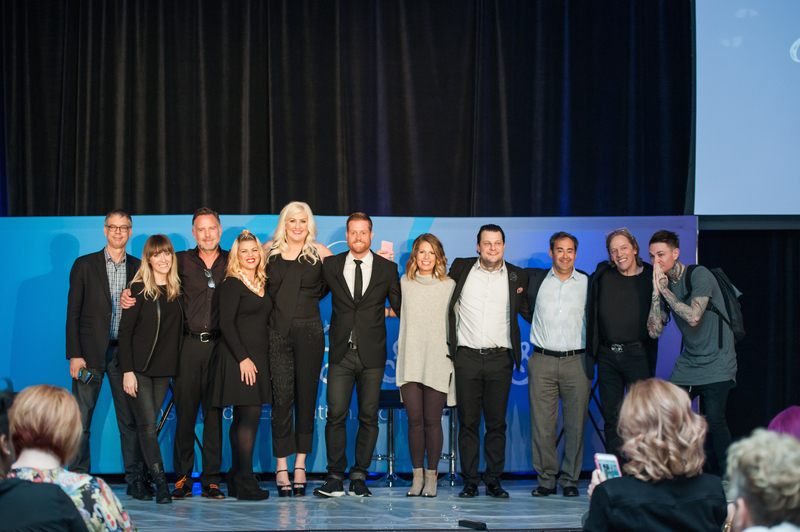 She encouraged the audience to look toward the future of the salon industry and take advantage of the independence at Sola to continue growing every day. Sola co-founders Matt Briger and Stratton Smith followed to tell the specifics of the company’s history and to inspire people to never settle, step outside their comfort zone and to always strive to lift others up, not bring them down. Gordon Miller, the keynote speaker and American Salon’s Publisher and Vice President of Integrated Media, educated the audience on the importance of investing in themselves. An industry veteran himself, Miller emphasized how technology is rapidly transforming the salon industry. His speech concluded with tips on his best practices and the “Three R’s” that he swears by for a successful business: referral, rebook and recommend retail. Switching gears from inspirational messages to marketing, Jennie Wolff, Sola’s Vice President of Marketing and Stylist Programs, challenged stylists to attempt their own integrated marketing program and explained the foundation of Sola’s tools that will deliver concrete marketing results for their business. The Sola Sessions continued with an educational message from SalonCentric’s Michael Cole. He stressed the importance of mindfulness; Being mindful of one’s personal energy and finances will lead to more control in life. Cole also spoke of the fundamentals that Sola professionals should practice to increase their financial revenue earlier in their careers. Knowing your specialty, being digitally savvy and utilizing social media platforms for referrals are all excellent traits to possess as a stylist, Cole said. The second half of the Sola Sessions was filled with dramatic and educational presentations. Hattori Hanzo Shears hosted two artists with varying cutting styles who motivated and inspired the audience with their entertaining personalities while sharing their tips on how to utilize shears to create the perfect look. 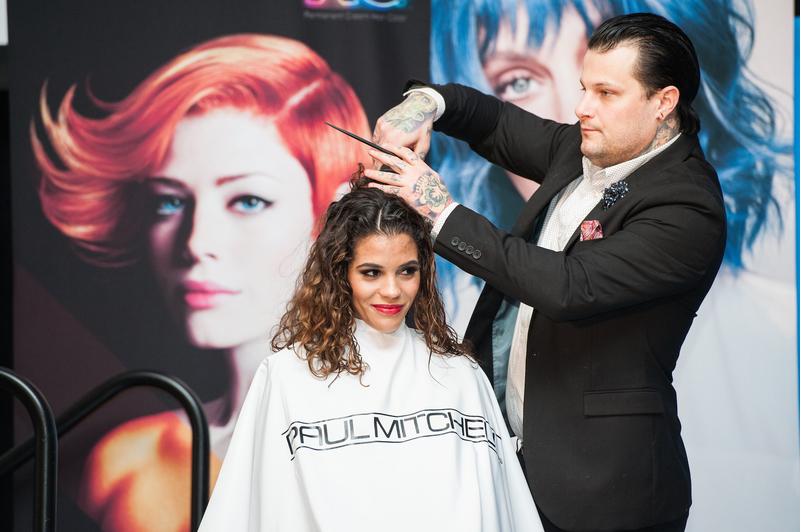 Justin Thomas presented a long hair model to depict the effect of hard or soft lines and shared his excitement of recently opening a Sola studio in Sacramento, CA., while Oscar Bond presented a classic bob model and lectured on the importance of when to use certain shears. Andis educator and men’s grooming specialist Jessica Zeinstra shared her expertise on clipper techniques and showcased her talent by presenting a model with a classic fade, leaving the model’s hair longer on top. Zeinstra also made the announcement that she will be expanding her Minneapolis-area Sola studio and will now be accepting female clientele in the future. The Paul Mitchell team closed the show with its educators demonstrating vivid color techniques, textured hairstyles and haircuts inspired by the latest company collection that ranged from salon-friendly to high-fashion on seven models. Colin Caruso, Heather Kaanoi, David Lowry and Mahogany Plautz taught the audience on how to maximize their Sola studio space to maximize their salon revenue with bonus and add-on features. No Sola Sessions is complete without some Sola swag, and Minneapolis was no exception! The gift bags were stuffed to the brim with gifts from Paul Mitchell, Hattori Hanzo Shears, Andis Clippers, KLASS Makeup, Redken, Pureology, Matrix and of course Sola Salon Studios. 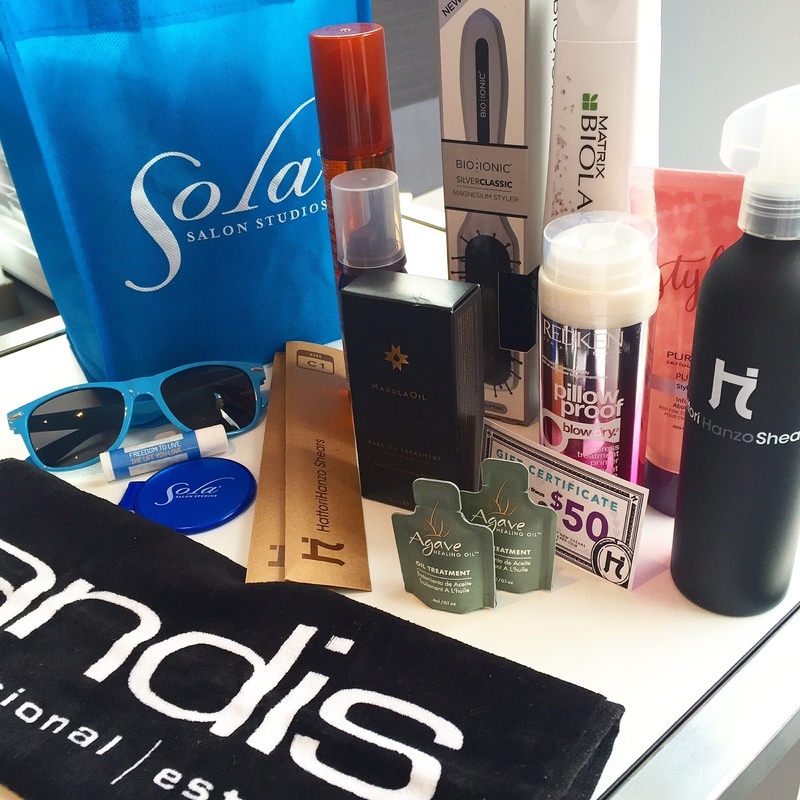 And when it comes to prizes, Hattori Hanzo Shears hosted a free shear giveaway, SalonCentric hosted a drawing for two free stylist starter gift sets, and additionally, KLASS Makeup provided all cosmetics for the live models and a 25 percent discount to all Sola stylists. If you missed the Minneapolis Sola Session, have no FOMO! Future 2016 Sessions include Orange County on September 12 and Charlotte, NC on November 14. Save the date!